The Camden County medical examiner has ruled that twin 7-month-old baby girls who were found unresponsive in their cribs died of natural causes, and not foul play. 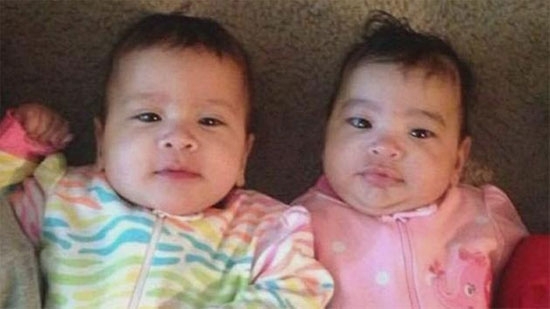 Jessenia and Juliana Rodriguez-Garnett were discovered by their mother, Alexandria Garnett, on March 22nd at Pines Apartments just off Bilper Avenue in Lindenwold. She called 911 and told dispatchers that the girls had turned purple and were not breathing. She attempted CPR until medics arrived, but it was too late. The exact cause of death will not be released according to the prosector's office out of respect for the family. A viewing will be held Saturday from 11 a.m. to noon at Ora L. Wooster Funeral Home in Clementon, 51 Park Blvd. with a funeral to follow. Philadelphia District Attorney Seth Williams appeared in federal court again on Friday for a brief hearing. Attorney Thomas F. Burke will take over as Williams' defense attorney after Michael Diamondstein stepped aside. Williams also agreed to a temporary suspension of his law license. However, he plans to stay in office and perform administrative duties while any legal matters are attended to by others. This will allow him to continue to collect his $175,000 salary. Philadelphia Police are investigating after a double stabbing in the Point Breeze neighborhood Friday afternoon left a women dead and a man in critical condition. It happened just before 4 p.m. on the 1500 block of South 19th Street. The couple's son discovered the 63-year-old woman stabbed multiples times inside the home. She was pronounced dead at the scene. The 67-year-old man was also found stabbed in the chest and neck. He was taken to Penn-Presbyterian Medical Center. No arrests have been made. Anyone with any information is asked to call police at 215-686-TIPS. UPDATE: The couple has been identified as 63-year-old Robin Potter and 67-year-old Anthony Potter. They were discovered in an upstairs bedroom by their son. Police recovered a knife and a pair of scissors. It looks like the result of a domestic dispute gone very wrong. Police are continuing to investigate. Ruben Amaro Sr., former Philadelphia Phillies shortstop, coach, and scout, has passed away at age 81.